— Wyoming and New Mexico play for the 70th time, which is the fourth-longest series in UW history behind Colorado State (108 previous games), Utah (83) and Brigham Young (78). UW lists the series in its favor at 36-33, but New Mexico has it 35-34 in favor of UW. Both schools have different takes from the 1979 game. The Cowboys lost that game 17-3 in Albuquerque, but was later awarded the win by forfeit. UW counts that as a win. New Mexico doesn’t count the game at all. — This note courtesy of New Mexico. Saturday’s game marks the third time UW and New Mexico have played on Oct. 28. UW won 24-23 in 1989 in Albuquerque, and 44-0 in 1950 in Laramie. Some famous people who have birthdays on Oct. 28 include: country music star Brad Paisley, former Denver Broncos running back Terrell Davis and safety Steve Atwater, actress Julia Roberts and TV personality Andy Richter. — “He’s the biggest guy on field, but he’s the quarterback. He is physically unique. They will run the ball with him. If the game is on the line and they need it, he will run the football and not worry about what the next level (NFL) has in store for him. I counted 21 times he was on the ground against Boise State. He’s taking some shots, but he keeps coming. I have a lot of respect for him. He reminds me of Ben Roethlisberger. When I was at ESPN I did his last game at Miami (Ohio). He may be faster than Ben, but they have the same kind of skill set.” — New Mexico coach Bob Davie on UW junior quarterback Josh Allen. 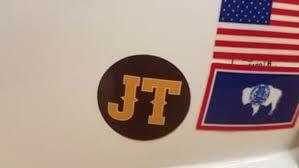 — UW will have a sticker on its helmets today to honor former coach Joe Tiller, who passed away Sept. 30 at the age of 74 at his home in Buffalo. — Junior strong safety Andrew Wingard is third in the Mountain West and ninth in the nation with 10.3 tackles per game. His 44 solo stops also is third in the MW. Wingard enters Saturday’s game second among active players in the NCAA with 6.12 solo tackles per games, and third in total tackles per game at 9.85. In two previous games against New Mexico’s triple-option offense, Wingard has 20 tackles, 17 of which were solo stops. UW has lost three straight games to New Mexico, including a 56-35 loss last season in Albuquerque. “It is definitely one of those games we mark on the calendar like Colorado State or Utah State. We have some bad memories playing these guys, and we want to wipe those away,” Wingard said. — “Some of it is coming down to his keys and how he sees the play unfold. That comes with experience. I thought he moved the pile better and we dented the line of scrimmage a little better last week, but he needs to do more this week. There were a couple runs out there that we felt he missed.” — UW coach Craig Bohl on true freshman running back Trey Woods. Woods is expected to start his fourth consecutive game Saturday. 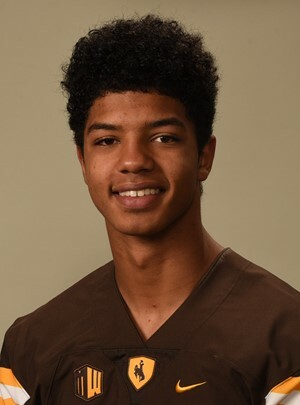 For a cool story on how the other UW running backs have taken to their new roles on the team, see Saturday’s Wyoming Tribune Eagle and Laramie Boomerang, and log on to wyosports.net. — Here are some numbers that won’t make UW fans happy: Out of 129 FBS teams, the Cowboys are 103rd in scoring (22.6 ppg), 123rd in rushing (99.7 ypg), 105th in passing (178.3 jpg), 114th in first downs (102) and 126th in total offense (278 mpg). Needless to say, all of those numbers need to improve if UW hopes to win games. “We’re trying to find some identity. They’re certainly competing. Josh the last several games has really come out and has been a warrior out there. We need some other play-makers to come into play. You just can’t be a quarterback-driven offense. We’re trying to find out way,” Bohl said. a 30.8 average, and are a prefect 14 of 14 in red zone scoring. But even those stats have some misleading information. UW has only 14 kickoff returns through its first seven games. And, its red zone chances are the fewest in the MW. — “It’s frustrating at times when you’re not getting the ball rolling. When we can’t get the run game going, they know we have to throw the ball and they can rush four and it hurts our play action and our naked game. Running the ball is crucial in our pro-style offense. We’ve got to find a way. It’s not one certain thing, we’ve just got to be on the same page, a little extra effort. We’ve had some adversity but we’ve been able to deal with it okay. We still need to come along and keep adapting to the new roles. The whole offense is going to get better and we’re going to find a way.” — Allen. 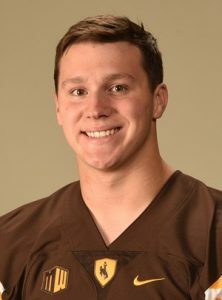 This entry was posted in Football and tagged Andrew Wingard, Ben Roethlisberger, Bob Davie, College football, Craig Bohl, Josh Allen, New Mexico Lobos, Trey Woods, Wyoming Cowboys, Wyoming Football by Robert Gagliardi. Bookmark the permalink.